,,Markéta Jáchimová was born in 1988 in Domažlice, Czech Republic. She studied art at various schools, including the High school Zámeček in Pilsen and the Universiti Institute of Art and Design studied illustration and fellowship on Glasgow School of Art. In 2009 she moved to Prague and continued her studies at the Academy of Arts, Architecture and Design where graduated bachelor degree in sculpture and a master's in painting . Though her beginnings were as an engraver and painter, by 2009 she had turned her attention to sculptural work, for which she is now highly recognized by having many shows with various institutions in the Czech Republic. 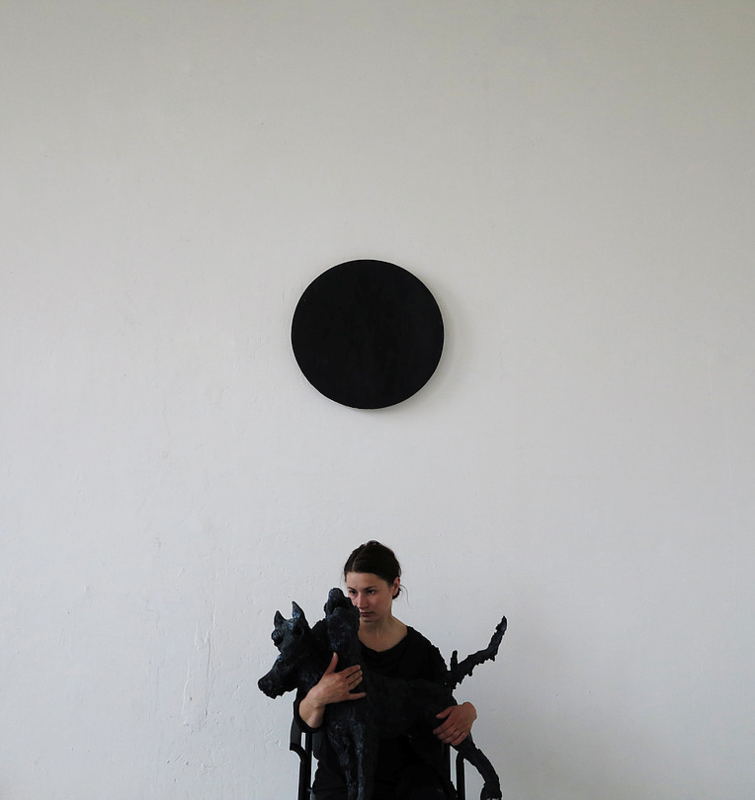 Markéta Jáchimová’s early sculpture is composed of organic materials, such as human hair, plaster and found wood. In the last years she began to execute her work in crystal and glass and the pieces themselves have become larger and more referential to what is becoming the dominant theme of her work: her childhood. She once said to me: “My childhood has never lost its magic, it has never lost its mystery and it has never lost its drama.” Deeply symbolic, her work uses her relationship to the body and the role trips to forest played in her early family life as a vocabulary through which to understand and remake history. The anthropomorphic shapes her pieces take—female and male bodies are continually referenced and remade—are charged with sexuality and death and the interplay between the two."